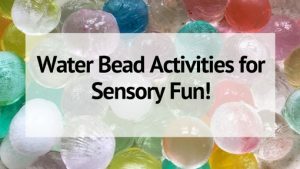 Sensory bins are so much fun for preschoolers (well kids of all ages really)! It’s like bringing a sandbox inside to explore and play! 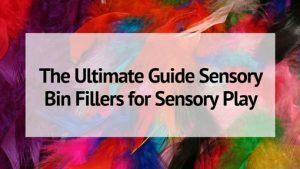 Sensory play engages one or all of the senses (sight, smell, taste, touch, hearing) and helps young kids learn and process their environments. 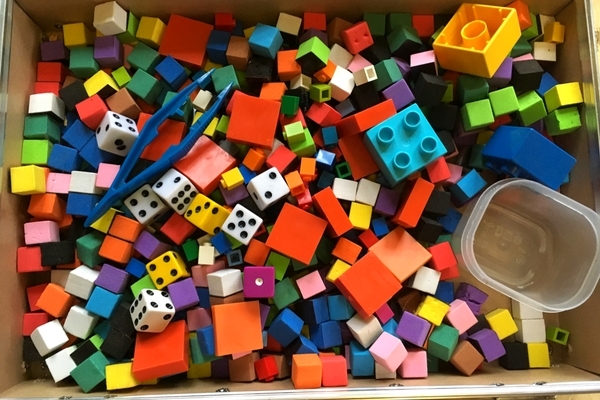 You can incorporate sensory play into all sorts of learning- including the shapes! 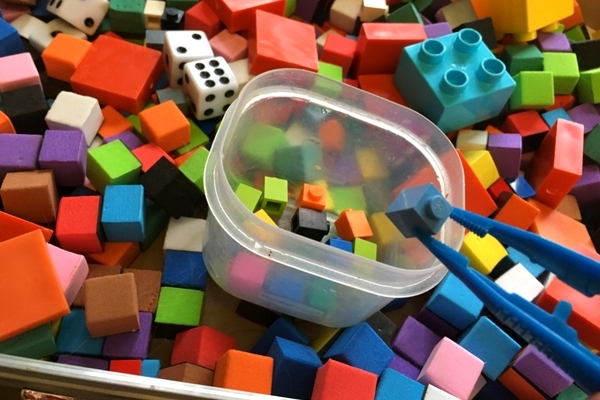 This square sensory bin will stimulate your preschooler’s sense of sight and touch most of all and help them connect what a square is and what exactly makes it a square. Sensory bins are easy to make. All you need is a large box or bin, a base to fill it with, and fun themed-extras to add in. For my square sensory bin, I chose to use small square magnets. They came in a magnetic mosaic set and made the perfect square base for my bin. *Note: If you don’ t have a good square base, go ahead a make your sensory bin with rice, corn, or other easily accessible item. Then you want to add in fun extras that incorporate your square theme. This particular sensory bin is all about the square shape. So everything in it is square. 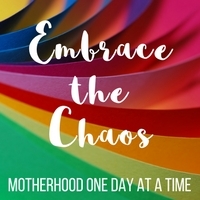 You get the idea….basically add in anything square and fun! Let your child explore the squares in the bin. Add a pair of tweezers or tongs so he can transfer or sort the shapes into the boxes or containers. Discuss what makes a square a square while he plays. Challenge him to build with the different squares in the sensory bin. How tall can he build? 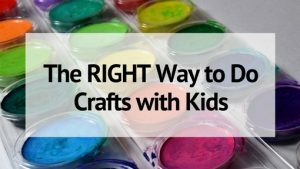 Want to make more cool and education sensory bins? Try out my Yellow Themed Sensory Bin to help your toddler learn and explore all about the color yellow.